How Does a Chapter 13 Greensboro Bankruptcy Repayment Plan Work? How do Chapter 13 repayments work in Greensboro bankruptcy? There are three basic chapters under which you can file Greensboro bankruptcy: Chapter 7, 11 and 13. Chapter 11 is primarily for businesses while Chapter 13 and 7 are for consumers. Chapter 13 is known as a repayment plan or a wage-earner plan. This type of bankruptcy lasts three to five years and intends to catch you up on secured debts (car loan, mortgage, etc.) while also relieving some of your unsecured debt. Chapter 13 bankruptcy is a reorganization of debt. This form of Greensboro bankruptcy allows an individual with regular income to catch up on debt for which you’ve fallen delinquent. At the end of the plan, if you’ve stuck with the payments, you’ll be current on your mortgage and car loan as well as your unsecured debt. In most cases, unsecured debt (credit cards, medical bills, etc.) is drastically reduced. How Does a Chapter 13 Repayment Plan Work? To start the process, you consult a reputable Greensboro bankruptcy attorney. They examine your debt, income, assets, and discuss your long-term financial goals. From there, if you decide Chapter 13 is the best option for you, they will prepare and file your bankruptcy petition. This asks the court to allow you to get on a repayment plan to catch up debt. As soon as the bankruptcy petition files, creditors must stop all collection activity. That means the filing can stop repossession, foreclosure, and harassing phone calls. As part of your petition, the lawyer prepares a repayment plan. The plan tells the court how you will catch up your debts over the next several years. The total arrears on your secured debt (mortgage, auto loan, etc.) are part of the amount you must repay. Your assets and income determine what percentage of your unsecured debts the court will likely demand you pay. In some instances, you might pay just pennies on the dollar on unsecured debt. Child support, alimony, and recent income taxes must be paid in full. The length of the plan will depend on your income level and equity in assets. Lower income earners may obtain a three-year repayment plan and more reduction in unsecured debt. Higher income earners will likely face a longer five-year repayment term. In Greensboro Chapter 13 bankruptcy, there are three types of claims to settle. These are administrative claims, priority debts to secured creditors, and unsecured debts. 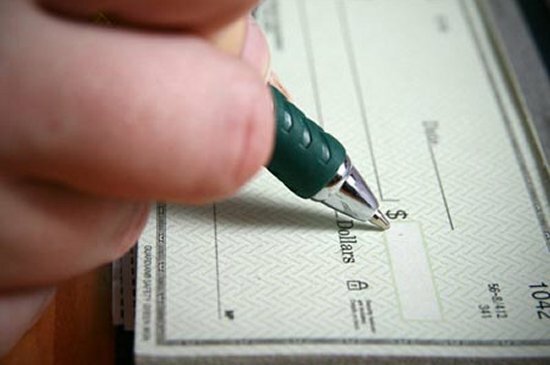 These are payments relating to your bankruptcy petition. They include your filing fee, the trustee’s fee (usually 3% to 10% of your monthly payments) to manage your repayment plan and your attorney fees. You can pay the attorney and filing fees up-front or wrap them up in your repayment plan if you don’t have the cash on hand. Priority debts are those claims that come first in your case. These debts cannot be reduced or discharged and must be paid in full. They include delinquent alimony and child support payments, recent tax debts (state and federal), payments owed to employees, contributions to employee benefit fund and sales taxes (if you’re a business owner). Secured creditors also have a right to recoup 100% of their claim in most cases. This includes your house and car payments. You might be able to reduce your loan balance on your vehicle if it meets certain criteria in a move called a “cram down” that can lower your principal balance down to its fair market value as well as your interest rate. This category of creditors is unsecured because the debt you owe them is not tied to an asset. Debts that fall into this category include credit cards and store cards, medical bills, personal loans, utility bills, and even club memberships. These creditors may receive anywhere from 0% to 100% of their claim, depending on the length of your plan, equity in assets, and income. The best way to know how a Chapter 13 repayment plan works in Greensboro bankruptcy is to go talk to an experienced and reputable North Carolina bankruptcy lawyer. Good lawyers don’t charge for the initial consultation. Bring in your income and debt documents and discuss your financial issues and see what they say. To find out more about the benefits of Chapter 13, read reviews from our clients, then call 1-888-234-4181. Contact the Law Offices of John T. Orcutt and come see us at one of our locations in Raleigh, Durham, Fayetteville, Wilson, Greensboro, Garner or Wilmington for a free Greensboro bankruptcy consultation.